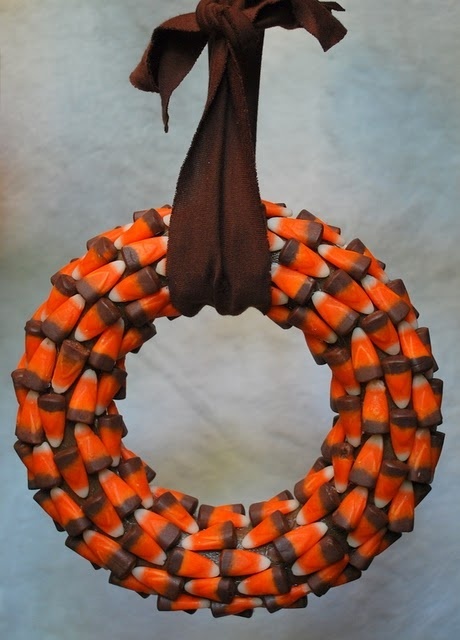 I loved the look of the chocolate candy corn on this wreath, but sadly there was nary a chocolate candy corn to be had yet in my town. (And believe me, I looked all over.) In the end, I had to make do with the regular old kind of corn. You can start with a basic wreath, either wood, styrofoam or wire. I went with the wire one because I had one handy. 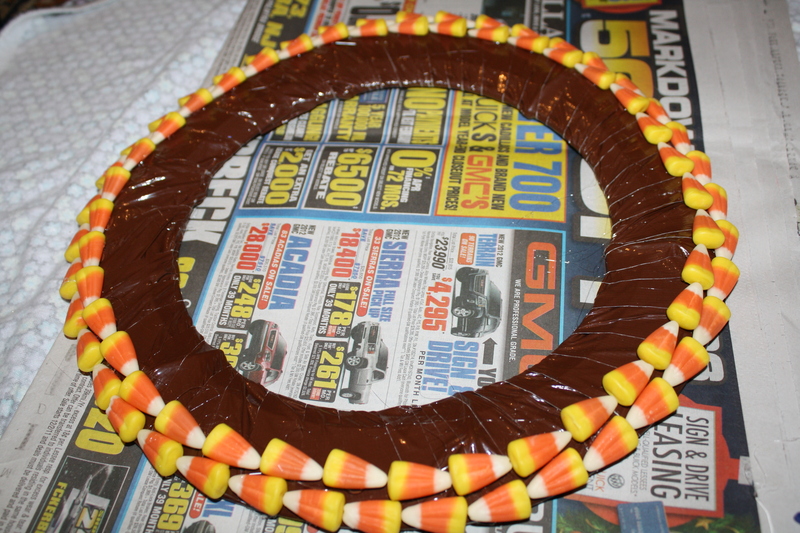 First I covered the wreath with brown duct tape. 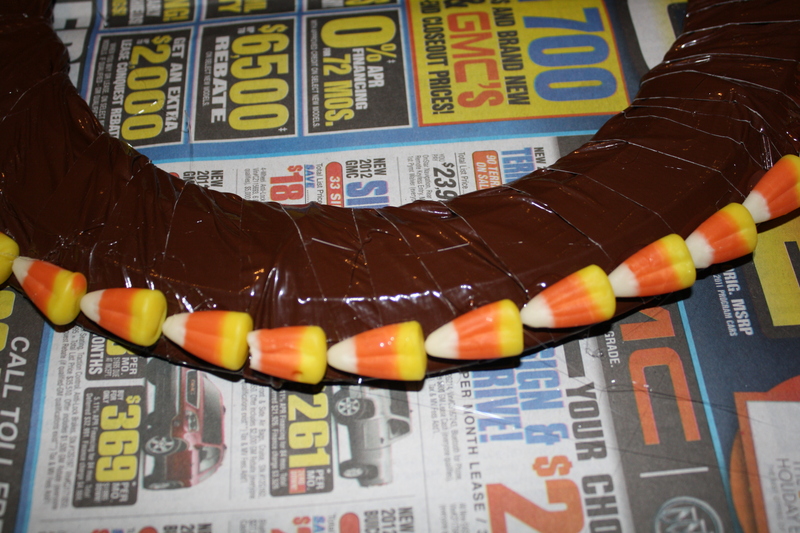 And then I hot-glued the candies to the duct tape in neat little rows. 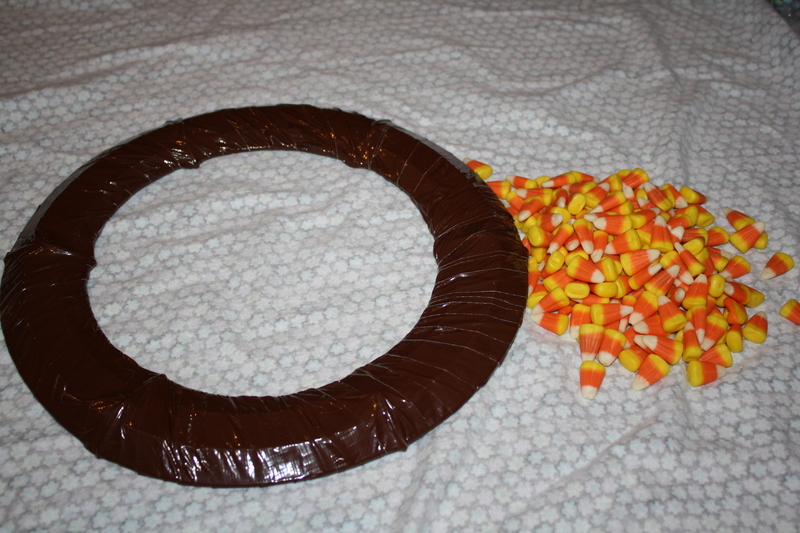 My wreath is about 14″ across, requiring about one pound of candy corn. When it was finished, I coated the wreath with a sealer, in an attempt to preserve it, and also to discourage bugs and squirrels. Then I used a nice bit of brown ribbon to hang it. Overall, very pleased, though I am not sure if this is a weather-proof project. 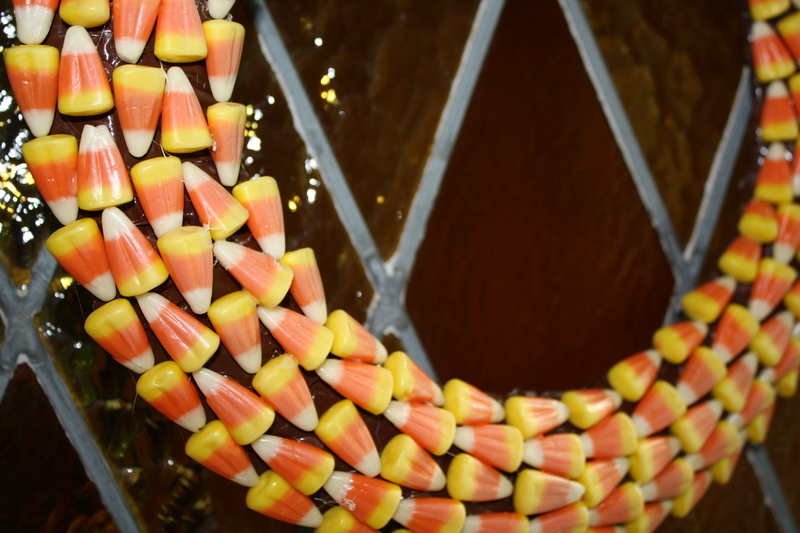 I put it out on the front door overnight, and in the morning, it was very hot and humid outside, causing the candies (or maybe it’s the glue) to melt. The front door looks like it’s been egged…with Cadbury Creme Eggs. So, either keep yours inside, or wait until the cool air of autumn comes your way. This would look nice for the fall months. 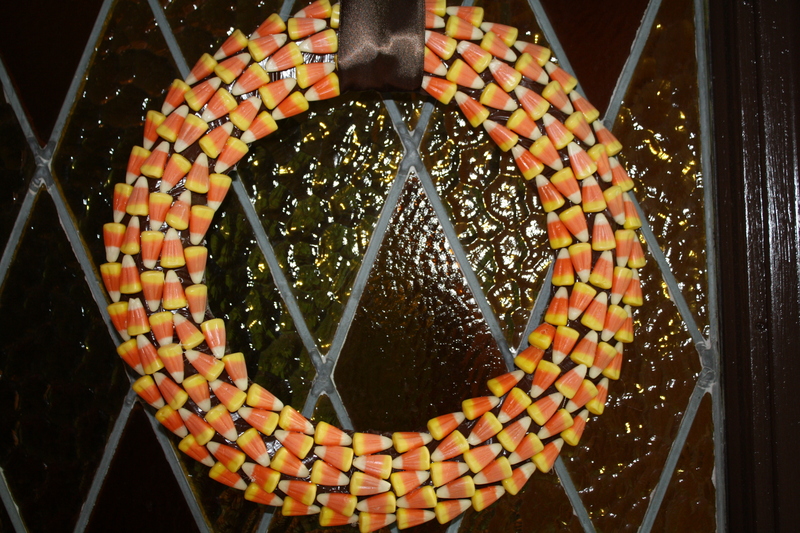 Hot candy corn is funky, though. 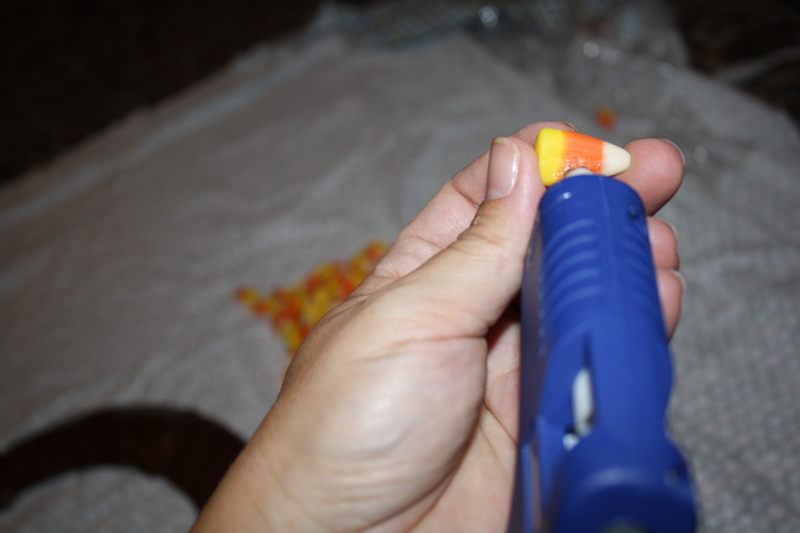 I can’t believe that you found candy corn yet… think it’s part of last year’s stock? Looks great! 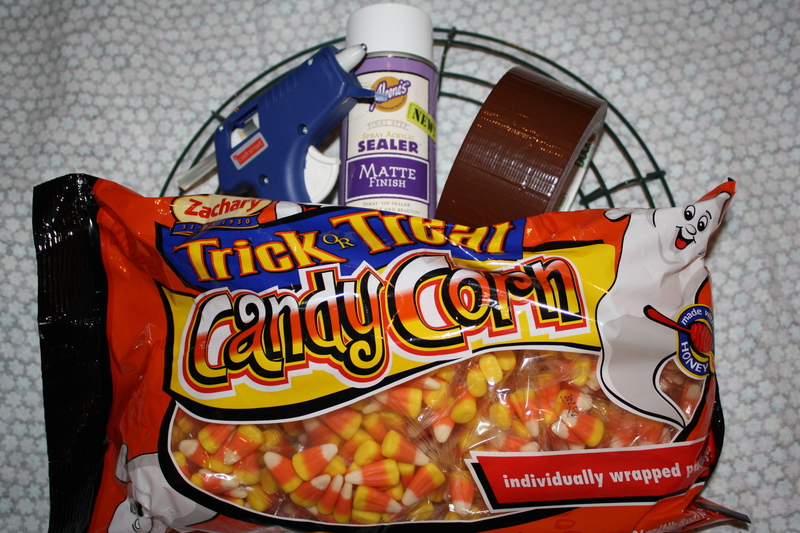 That is a lot of candy corn to hot glue, you have patience! Thanks! I also have a few singed fingertips!